Should You Have a Heat Pump Installed? 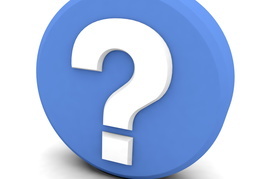 | Comfy Heating Air Conditioning Inc.
First, What Exactly Is a Heat Pump? You can think of a heat pump essentially as your standard central air conditioning system, with a couple of exceptions. Similar to an air conditioner, a heat pump is comprised of two units—one is installed inside and one outside. In heating mode, the outside unit evaporates refrigerant in order to absorb thermal energy from the air surrounding your property. The refrigerant gas is then condensed back into liquid in the indoor unit to release the collected heat into the home. Unlike an air conditioner, though, a heat pump has the ability to change the direction of the refrigerant flow. This gives the heat pump its ability to act as either a heater or an air conditioner, which is the main reason most people have one installed. The main benefit of being able to depend on a single HVAC system for home comfort throughout the entire year is that it saves you both space and money. This isn’t the only reason that homeowners have heat pumps installed, however! They tend to also be more energy efficient than the majority of heating systems—this is because they don’t combust fuel to generate heat. Rather, they move heat. This means you aren’t spending extra money every month on something like a higher gas bill. It’s estimated that just within a few years of heat pump installation, your system will usually pay for itself by how much it saves you on utility bills. There is also a big convenience factor here—when you’re using a more traditional two-system configuration, you need to spend twice as much money keeping both of those systems in good condition. You can’t just install a system and forget about it. If you’re using a heat pump, you only need to worry about keeping that one system in good condition. Of course, this does mean that you should be scheduling maintenance twice a year, whereas for a traditional central AC or furnace, you’d be getting maintenance done once a year for each system. But overall, since you’re dealing with less components, you shouldn’t have to deal with as many costly repair needs that you might have to with a more traditional system. For professional Oakland, CA HVAC services and more, contact Comfy Heating & Air Conditioning Inc. today!